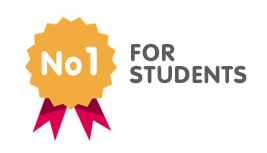 My Baggage is the student luggage shipping option which saves you a lot of hassle, when it comes to getting your things to uni. As recent university graduates, the My Baggage team understands how stressful the whole ‘moving to uni’ process can be. There’s so much to think about, so much to organise and so much stuff to bring with you. Then, once you finally have the suitcases and boxes packed, there’s the headache of trying to transport it all. If you’re travelling to university by plane (either on a domestic or an international flight) flying with multiple suitcases can be an absolute nightmare. There’s the hassle of carrying heavy bags, queueing for ages at check in desks and not to mention the anxiety of standing at the baggage carousel once you’ve arrived, praying that your luggage has made it there too! My Baggage provides a welcome alternative to all this stress. Simply book online with us and we’ll collect your luggage from your home and deliver it to your uni address. No stress, no fuss – just a few clicks on our website and we’ll do the rest. With My Baggage, you also have a much more generous weight allowance – each piece of luggage you send with us can be up to 30kg, which is much less restrictive than most airlines allow. There’s also a lot more variety in terms of the items you can send with My Baggage. For instance, you can send your belongings in cardboard box instead of a suitcase, and we’ll send uncommonly shaped items like skis, or surf boards. 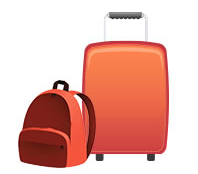 My Baggage also saves you the hassle of travelling on buses or trains with heavy bags. Or packing all your stuff into yours or your parents car. Send your luggage with us and your stuff will be waiting for you when you arrive at uni. 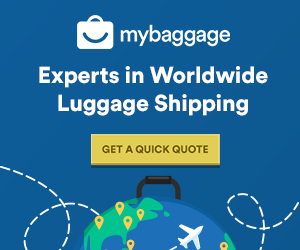 To make your luggage shipment as convenient as possible, My Baggage offers full door to door collection and delivery, which means you don’t have to leave the comfort of your own home! You don’t have to collect your belongings from a drop-off point or depot – we’ll collect and deliver you luggage to your front door. To top it all off, the booking process couldn’t be simpler. It takes just a few minutes to complete and you can place an order 24 hours a day, seven days a week. Once you’ve booked and paid for your shipment, we’ll send you labels to print and attach to your item. After that, you’re job is done and we’ll take care of the rest.